As foreshadowed in the Federal Budget circa 9 May 2017 and as part of the overall discussion on housing affordability in Australia, the Government has announced a number of measures aimed at restricting and monitoring foreign ownership of Australian property (as well as extending the application of the capital gains tax regime for certain assets owned by foreign residents). With a tightening to lending criteria and increased purchase transaction costs for foreign residents across the various States already in the backdrop, perhaps not surprising, these latest measures simply represent a general continuation of heaping the disincentives on foreign residents. Political expediency or otherwise, these measures form part of an overall trend and is likely have important implications for many expats particularly those who are contemplating divestment of property interests over the next few years. If you own or hold an interest in an Australian residential property that you previously occupied as a main residence, you may be interested to know that the Government has released an Exposure Draft of Treasury Laws Amendment (Housing Tax Integrity) Bill 2017 which contain measures to remove the main residence exemption (“MRE”) for foreign residents. The proposed law will impact individuals who dispose of their main residence whilst a foreign resident, together with Trustees of deceased estates and special disability trusts. 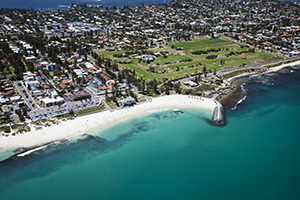 Where the proposed law applies, unless you re-become a tax resident of Australia at the time of selling your former main residence, you have, under the transitional grandfathering provisions, until 30 June 2019 to benefit from a full or partial main residence exemption should you choose to sell the property whilst a foreign resident. For the purposes of the above, the contract date (ie. date on which the sale contract is signed) is relevant. If you execute a contract of sale in respect of a property that was your main residence on 1 July 2019 whilst a foreign resident, the MRE will no longer apply. It matters not even if you become a tax resident of Australia before settlement or, that you were a tax resident for the majority of the holding period of the property. It is perhaps worthy to note that the Market Value Rule (“MVR”) (i.e. which permits a resetting of a property’s cost base to market value at its ‘first income time’ – refer to Capital Gains Tax Planning and the family home – Part II) cannot apply while you are a foreign resident at time of sale, because a partial MRE is otherwise required to trigger MVR (and by virtue of a person being a foreign resident at time of sale, this specific requirement could not be met). The treatment outlined above also broadly applies to special disability trusts (“SDT”). That is, the MRE will no longer apply in respect of a dwelling held by the SDT (that is used by the primary beneficiary as their main residence) if, at the time its sale, the primary beneficiary of that trust is a foreign resident. Similarly, should the primarily beneficiary die and the disposal occurs thereafter, no MRE could apply if the primary beneficiary was a foreign resident at time of death. Transitional provisions apply (ie. contracts entered into on or before 30 June 2019). if the deceased was a foreign resident at time of death, a partial MRE is available at best. This is because in pro-rating for MRE any use of the dwelling by the deceased as their main residence is disregarded (ie. only use of dwelling as a main residence by spouse of the deceased and individual(s) with right to occupy dwelling are taken into account). The Foreign Resident Capital Gains Withholding (“FRCGW”) rules were introduced to apply a non-final withholding to owners disposing of certain taxable Australian property, under contracts entered into from 1 July 2016. In summary, a 10% withholding rate applied to disposals of real property by foreign residents where the contract price was $2M or more. Importantly and subject to the receipt of a clearance certificate from the vendor before property settlement, the purchaser has the onus of making payment to the ATO such applicable FRCGW tax. The FRCGW regime has been broadened since this time, with an increment to the FRCGW rate (12.5%) and reduction to the withholding threshold ($A750,000), for contracts entered into from 1 July 2017 (received Royal assent on 22 June 2017). With FRCGW being a non-final withholding tax, a vendor can claim any entitlement to a refundable credit when they lodge an income tax return for the relevant income year. It is also possible for parties to the transaction to vary the FRCGW rate (eg. citing availability of MRE; vendor not expected to make a capital gain on the transaction or otherwise not have an income tax liability). The current Treasury Laws Amendment (Housing Tax Integrity) Bill 2017 and Foreign Acquisitions and Takeovers Fee Imposition Amendment (Vacancy Fees) Bill 2017 before the Senate introduced an annual ‘vacancy tax’ to apply to foreign residents who own a property that is not ‘residentially occupied’ for at least 183 days in a ‘vacancy year’ (being 12 months since occupation day). Following a purchase of Australian residential property, the foreign resident is required to submit a ‘vacancy fee return’ to the Commissioner within 30 days after the end of their vacancy year. Where applicable, the vacancy fee payable will be the same amount as that for the foreign investment application for the property (eg. $5,500 for properties with acquisition price of up to $A1M). Please note, unless otherwise noted as current law, references should be made to the final legislation. We would be pleased to review your specific situation and objectives having regard to the mentioned measures. For more information regarding how Precepts can assist with your personal and / or business taxation needs, please contact info@precepts.com.au.